Storm season; It’s that time of year again! So it’s time for homeowners across the state to get ready. When it comes to preparing for storms, the best thing you can do is make sure every aspect of your home is up to scratch. But there is one part of your home that needs to be in particularly good condition: the roof! Your roof is the only thing standing between you and the stormy elements. When the wind is howling and the hailstones are falling, you want to have complete confidence that your roof will weather the storm. So how do you do this? Well, general maintenance is the best place to start. 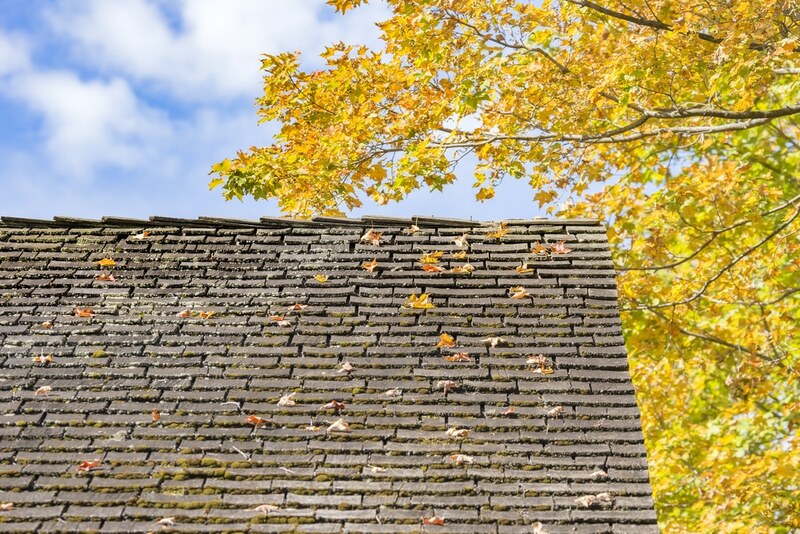 Keeping your roof clear of leaves and debris will prevent unnecessary damage. However sometimes, that alone won’t be enough. If your roof is really reaching the end of its run, you need a new roof and fast! But how can you tell if you need a new roof? Don’t worry – it’s pretty straightforward! We have gathered a few of our best tips to help you work out if you need a new roof. If you’re reading this article, you have probably already had a quick look at your roof. Chances are, it looks fine – right? But it’s hard to tell at a glance, so you have to look a little deeper. Have you got a few wonky gutters? Are there a few rust holes along your guttering and downpipes? It could just be incidental, but sometimes that indicates a more serious underlying problem. Rusty gutters and roof deterioration go hand in hand. Although they are separate things, your gutter and your roof work together as a part of an efficient drainage system. Without effective guttering, your roof will not be able to drain away excess water. Simply add some leaf litter to the mix and you have a recipe for roof deterioration! The worst part is that the deterioration often goes unnoticed. But there is a silver lining! In most cases, the guttering goes before the roof does. So you may still have time to save it! Simply get onto the roofing experts and get a professional opinion. Tiled roofs look great, which is all the more reason to spend some time looking at them! What do you see? Is it perfectly tiled, with no evidence of missing or broken shingles? Or are there a few dark spots, some loose tiles and a couple of obvious cracks? If you answered yes to the latter question, you might need a new roof. Tiled roofs, metal roofs and all types of guttering have use-by dates. The only potentially hard part is working out if your roof has passed its use-by date specifically. But with tiled roofs, answering this question is quite straightforward. On a tiled roof, each individual tile works hand in hand with the one beside it. Together, they are designed to withstand rain, wind and even hail! So if the tiles on your roof are starting to separate, crack or disappear altogether, it’s a pretty clear sign that something needs to be done. Don’t worry though – it mightn’t be too late! If you get onto some roofing specialists today, you might be able to address the damage as it is, without a complete roofing overhaul. Time is of the essence though, so check your tiled roof today or you might need a new roof completely! If your roof is sagging in parts, it is definitely time for a new one! So far, our tips have required some pretty close up inspections of your roof. But not this one! When it comes to noticing a sagging roof, you don’t exactly have to be up there with a spirit level! Sagging roofs stand out like a sore thumb and you can often see them from the street. But what do you do if your roof is sagging? Well, there are no two ways about it – you need a new roof. Roofs could sag for any number of reasons. They could be waterlogged in the rafters, sitting on collapsed beams, or just catastrophically deteriorated. In any case, sagging roofs are more than just unsightly – they are dangerous. So get in touch with a roofing specialist as soon as possible. If there is one unequivocal sign that you need a new roof, this is it! So you’ve gone over your roof with a fine-toothed comb on the outside. It’s a little aged maybe, but you can’t see any real issues. Does this mean you are in the clear? Mostly yes, but not always. Sometimes, the evidence that you need a new roof comes from within. Perhaps the most compelling of such evidence are signs of a leak. Are you constantly battling mouldy streaks on your ceiling? Does your roof cavity always seem damp? If so, your roof might not be doing its job. There could be small holes or raised sections that are allowing moisture to get through. Depending on the severity of the issue, you may be able to fix it. But if not, you need a new roof! We have saved the best until last with this tip, and it’s pretty self-explanatory! Visible rust is quite a compelling point in favour of getting a new roof. Regardless of how clean you keep your roof, and how immaculately well maintained your home is, age will take its toll at some point. You can probably expect to get around 20 years out of your roof – sometimes more, sometimes less. But when the time comes, you have to act! If your roof is looking rusty now, you will probably need a new roof before storm season begins in earnest. 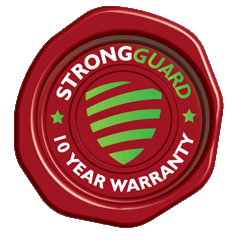 For all your roofing needs this storm season, contact the experts at Strongguard today on (07) 3623 4422.